We transformed huge, long, expensive and crowded of people process to really simple idea, full-stack turnkey solution less than a week and almost free. We working with a few Non-revenue generating Ukrainian Clients right now, but it's a National TV-channels with a total Audience more than 5M people. Also, we launched an Advertising Platform and now we have a conversation with a lot of Digital Ads Agencies and Brands about cooperation. We launched the Production version a three month ago and now we have 3 Clients with about 10K Users across 62 countries at the moment. Also, User engagement one of our Client raised on 800% for the last four weeks. Engagement, growth and monetization of Audience is the most trend problems for TV and any Media. Our target Clients is TV-channels, Shows and other Media or Audience owners. We help them to reach users on mobile, quickly roll out branded native Apps, run campaigns to engage, start fan interaction and monetize their Audiences. We give out the finished full-stack product to the Clients for a few working days and save them more than $50K and 6 month of time. 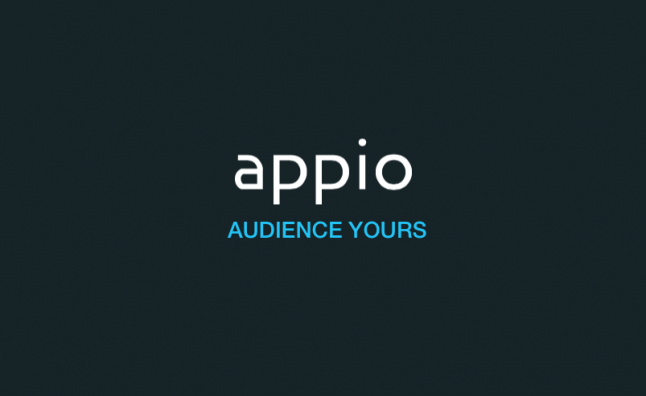 For Brands and Agencies we created the Appio Ads Platform to reach precise Audiences at scale. Full-stack TROUBLE-FREE cloud SAAS for Media with a turnkey solution which includes: native branded mobile Apps with the best engagement tools already built in, web-panel with live content management and real-time vidgets for data visualization on any screens, high-load cloud servers and unique Ads platform. Our largest competition on the global market is Monterosa and Ipowow and we are propose almost the same, but we have many differences, we are much faster, easier and incredibly cheaper. Until the Competitors are hunting for the Elephant-Clients on the Market, we aim for monopoly with the rest like Deer-, Rabbits- and Mouse-Clients. We going to aggregate billions User interaction and Ads activities monthly and we take a fee from all advertising campaigns. Also, an additional monthly/annual fee for the Clients for the white-label option. We know this Market and have clearly we understand the problems. We know about thousands of Clients which can not afford or just do not want classical Custom App for $50K, use a lot of staff and waiting for 8-12 month. Right now, we try to change the rules on the Market. TV-channels or other Clients now can run an interactive branded App quickly, without any financial or time risk and long-term waiting. So, with a slightly sacrificing customization and some "free space for the legs", we give the full-stack product faster, easier and incredibly cheaper. We need about $500K to the team growth, the Project scale and World expansion. Our major goal is to construct a global business with Clients all over the World for the next 6-12 month. We going to propose Appio to hundreds Clients, Advertisers and Market Experts in US, Europe and CIS countries. We ready to work hard for better understanding the Clients problems and we want solve it the best way. Convertible Note or Equity with $5M valuation of project.